The collection comprises over 18,000 examples of fine and decorative art: prints, photographs, drawings, watercolours, ceramics, paintings and sculpture as well as artefacts from the University’s former Art and Crafts Museum—including archaeological material, ethnographic artefacts, glass, coins and antique furniture. Our outstanding collection of studio pottery is one of the finest in the UK. 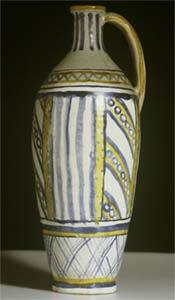 The Ceramics Collection comprises contemporary British, European, American, and Japanese studio pottery, 18th & 19th century Welsh and English slip ware, Swansea and Nantgarw porcelain, Art Pottery and Oriental ceramics. Its strength is undoubtedly its internationally renowned holdings of early 20th century British pioneer studio pottery. In 1988 Moira Vincentelli, Curator of Ceramics, established the Ceramic Archive at Aberystwyth. It holds the paper archive of the Craft Potters Association as well as a large amount of published, audio and video material relating to the wider field of ceramics production and activities. 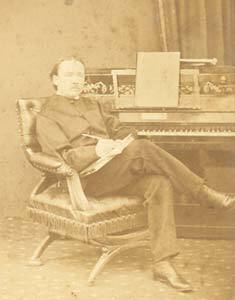 George E. J. Powell of Nanteos (1842-1882) spent most of his adult life in London and France and had sufficient means to pursue a life of travelling, writing poetry and indulging his passion for both music and collecting books, music manuscripts, autograph letters, fine and decorative art, coins and curiosities. He began giving his collection of pictures, bronzes and objet d’art to the University in 1879 and bequeathed the rest on his death in 1882. The Collection and associated literature provide an invaluable resource for the reconstruction of the world view of a mid 19th-century collector. At the core of the fine art collection are our holdings of European prints from the 15th century to the present day, drawings, watercolours, photographs and private press books. In addition to the Powell Collection, there are over 5,000 wood engravings for periodicals of the 1860s and a fine collection of prints representing the Etching Revival from Whistler to the inter-war years. Other significant areas of interest include art in Wales since 1945, contemporary British printmaking, Welsh photography and an outstanding collection of 20th-century Italian photographs. 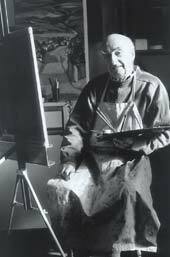 The artist John Elwyn at work. Mindful of their research potential for future generations of students and scholars, the School of Art Gallery and Museum acquires significant bodies of work representative of individual artist’s careers. Archive material, press reviews, diaries and a photographic record of works have also been made available. 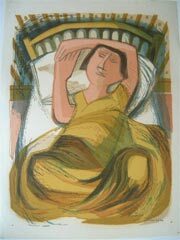 In recent years the Collection has significantly benefited from the formation of archives of work and related materials by such artists as Handel Evans, John Elwyn, Derrick Greaves, Bernard Cheese, Edgar Holloway, Rigby Graham, Keith Vaughan and Edward Bouverie Hoyton. Entrance to the Edward Davies Building. 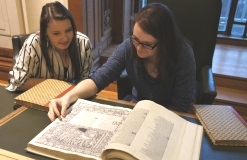 The University has never been able to fund its own Museum, nor today does it benefit from the government funding enjoyed by some of the larger university museums in England. 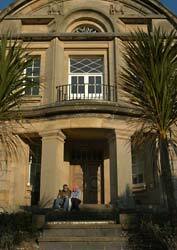 Its achievements have only been made possible through Trust Funds and the generosity of its benefactors: George Powell of Nanteos, Gwendoline and Margaret Davies of Llandinam, Sir John Williams, Dr Elvet Lewis and the friends and former students of the University who have contributed financially or made individual gifts and bequests of works of art.